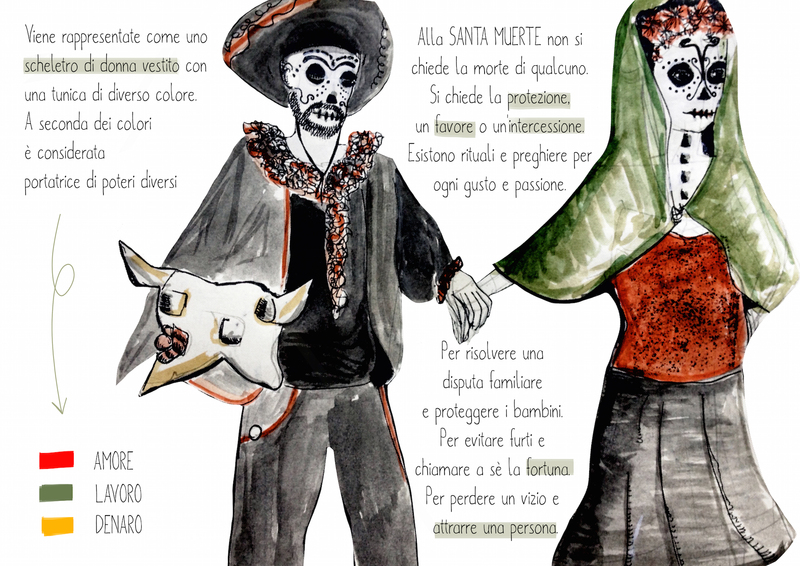 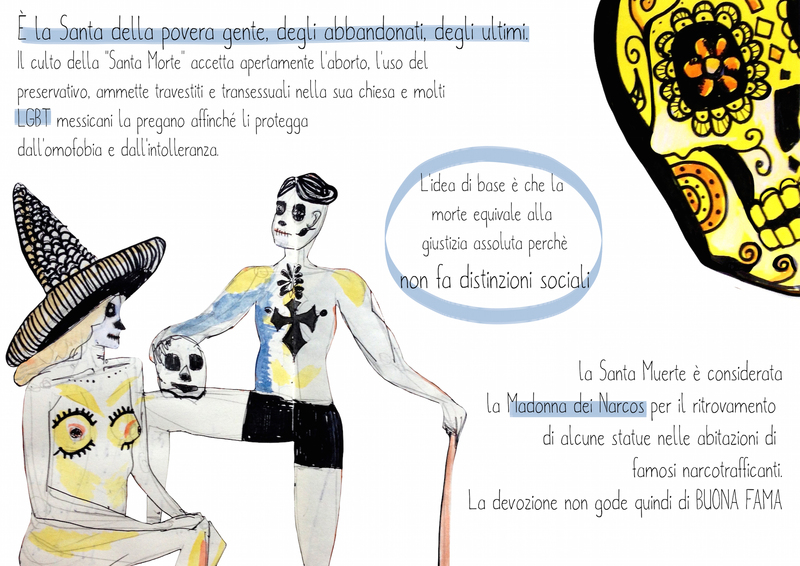 This graphic reportage was born during a DrSketchy event in Turin. 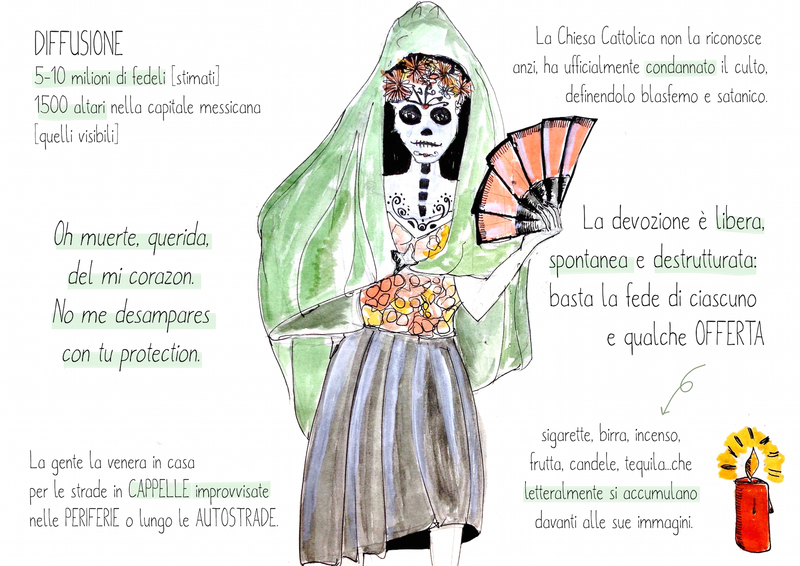 The theme was the Santa Muerte, a female folk saint venerated primarly in Mexico. 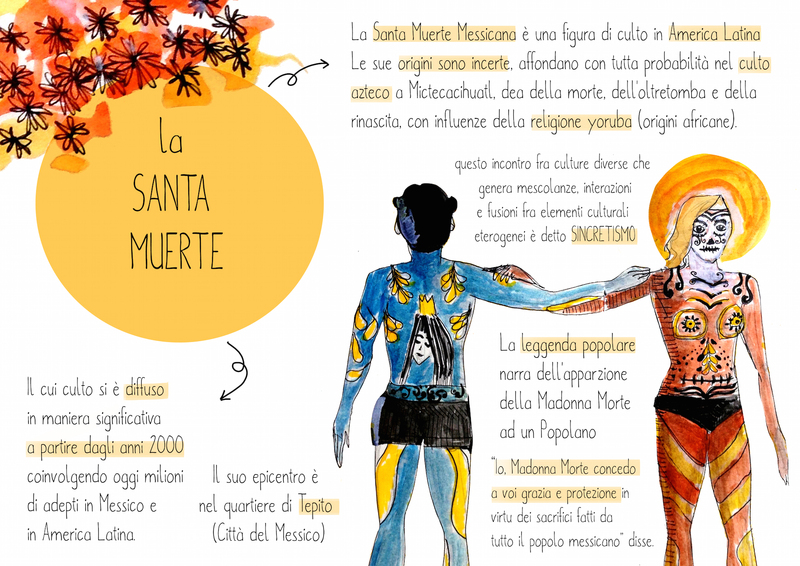 I didn’t know Santa Muerte and I was very curious and fascinated…I read something about it and I watched this documentary. 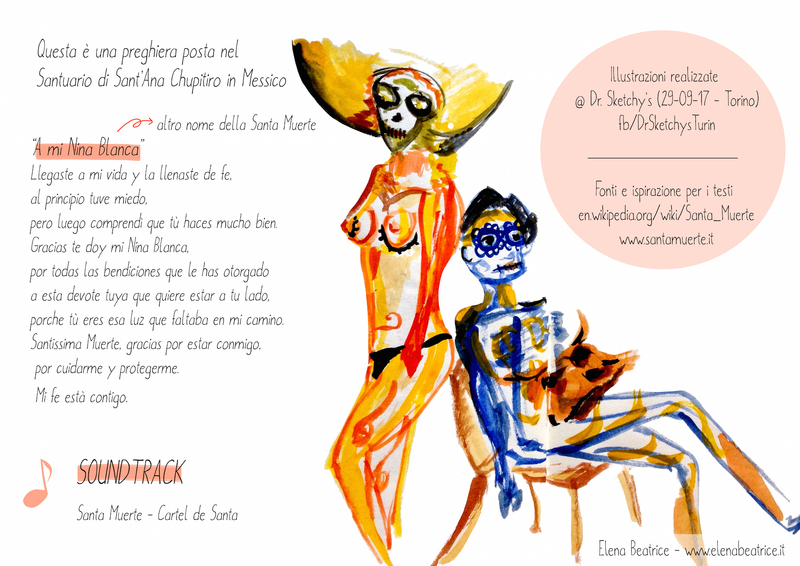 I realized sketches with pen during the event, then I added watercolors and put the infos around illustrations at home.